The most effective way to reduce your risk for lung cancer? Don't smoke. If you have smoked, you may need regular screening. More men and women die of lung cancer than of colon, breast, and prostate cancers combined. We’ve all heard the story, that tobacco in cigarettes is a carcinogen that causes mutations in lung cells and enables the growth of cancer. If you quit smoking, you can significantly reduce your risk of developing the disease, but you don’t go all the way down to the level of a non-smoker. 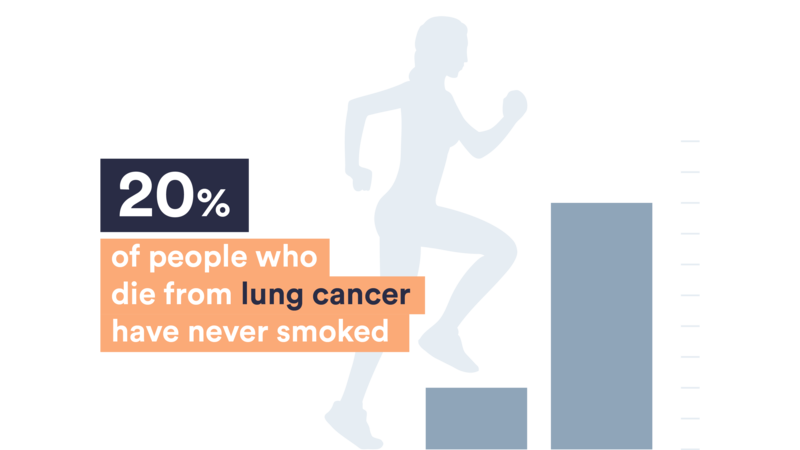 Still, nearly 20 percent of people who die from lung cancer in the United States each year have never smoked or used any other form of tobacco. Even though lung cancer is most commonly seen in smokers, there are a handful of other environmental factors that can cause the disease. The leading cause of lung cancer in non-smokers is exposure to radon gas, according to the U.S. Environmental Protection Agency. It accounts for about 21,000 deaths from lung cancer each year. But because radon can’t be seen or smelled, the only way to know whether it’s accumulating in your home is to test for it. Another big cause of lung cancer in non-smokers is simply breathing in secondhand smoke. That amounts to around 7,000 deaths from lung cancer each year. Exposure to other harmful chemicals like asbestos may also cause lung cancer. Asbestos was commonly used for insulation, roofing, and in various paints and plastics before it was banned by the EPA in 1989. You may also be at a higher risk of developing lung cancer if you are constantly exposed to air pollution, or if you have a family history of lung cancer. New research also suggests that people infected with HIV have a higher risk of developing lung cancer compared to the general population. HIV weakens the immune system and reduces the body’s ability to fight off other viral infections that may cause various cancers. 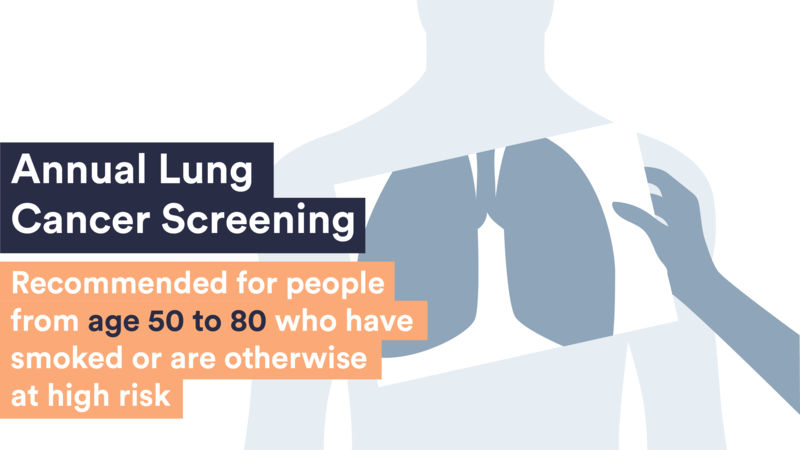 Many lung cancers are found accidentally, and they usually affect people above the age of 65. A small number of people are diagnosed younger than 45 years old. Talk to your doctor about getting a low-dose CT scan (LDCT) or chest x-ray if you are at high risk or if you experience a cough that doesn’t go away, a cough that produces bloody mucus, or if you experience chest pain or trouble swallowing or breathing.